Welcome to Albanian-hotels.net where you will find all type of hotels Accommodation you need in Albania, We are a tour operator in Albania and we offer the best hotels selection in all Albanian cities and touristic villages of Albania such as Tirana Hotels, Durres Hotels, Vlora Hotels, Saranda Hotels, KorÃ§a Hotels, Pogradec Hotels, Shkodra Hotels, Voskopoja Hotels, Permet Hotels, Shengjin Hotels, Velipoje Hotels, Radhime Hotels, Dhermi Hotels, Kukes Hotels, Llogara Hotels, Golem Hotels, Kavaje Hotels, Lushnje Hotels, Berat Hotels, Gjirokastra Hotels, Fier Hotels, Elbasan Hotels, Tropoja Hotels, Ksamil Hotels, Himara Hotels, Thethi Hotels, Tepelene Hotels, Ksamil Hotels and Airport Hotels in Tirana International Airport. 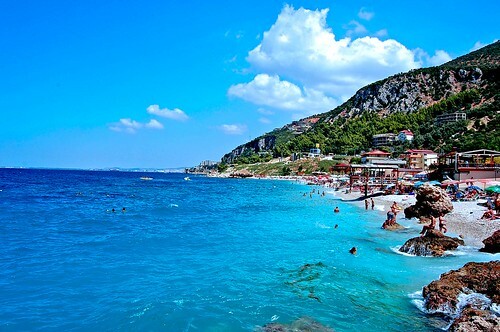 We also offer hotels by Category in Albania such as Business hotels, beach hotels, mountain hotels, airport hotels, Cheap Hotels, City Hotels etc. At www.albanian-hotels.net which is part of www.edialtour.com Albania Online Tour Operator offer you relevant information for each hotel in Albania, and also located using Google Earth, the exact price by type of hotel rooms that you can see what is included in the price, picture gallery for each hotel, etc and meny other information of Albania Hotels. This web-site take all those details from a database of highly detailed information from the Albanian Hotels Portals that is www.edialtour.com.